This session is absolutely one of my favorites! We photographed first in Ponderosa State Park where I made them balance on stumps and then moved to a private beach to the dock shots. I am DYING over these dock shots! Aloha! I'm sure it seems silly to be reading that if you are in Idaho and freezing right now. I am actually in Maui for the next couple of days. I was hired to come out and shoot a gorgeous oceanside elopement! The wedding was stunning and I will share images with you as soon as I get them back from my film lab. As a Boise wedding photographer I get the opportunity to photograph gorgeous Idaho weddings and a few weddings in neighboring states. It has been such a treat to get to visit Hawaii and also get to photograph here. Enough about Hawaii, let's talk about Austin and Whitney! 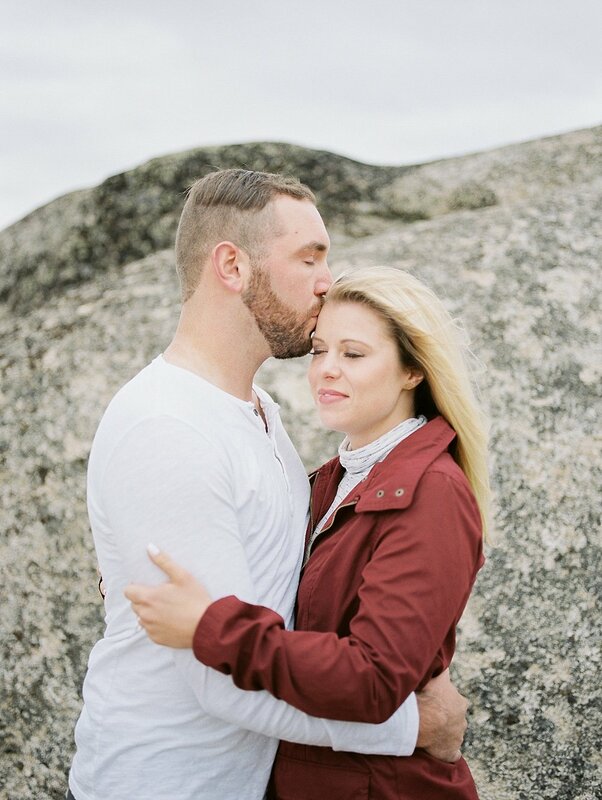 Gorgeous is an understatement with these two and their fall engagement session. They told me they wanted fall colors and a cool location and I knew just the spot to take them! 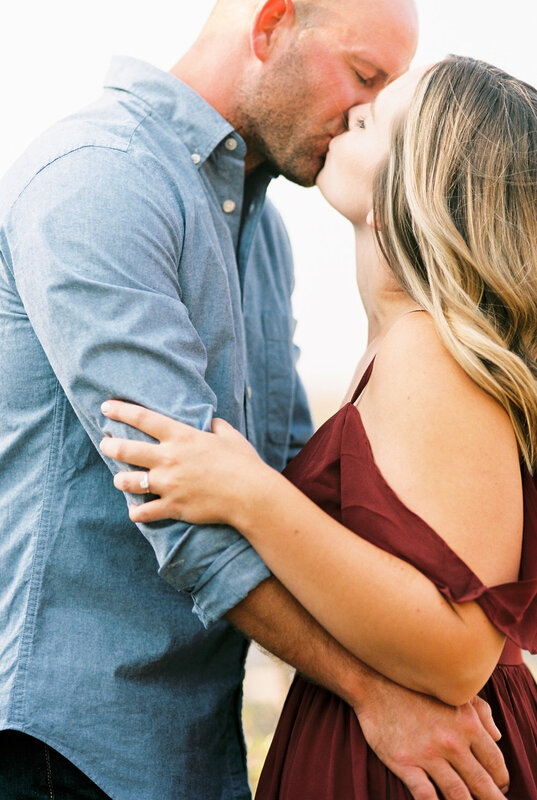 Fall is actually my favorite season, so engagement sessions in the fall just make my heart happy! It was such a treat getting to photograph these two. I'm sitting in my house literally snowed in right now! I always wondered what this would be like and now that it's actually happening I can report that it is very strange! All morning I didn't have internet and my phone was having to be used as an emergency hotspot at our coffee shop, so I spent all morning technology free AND snowed in at the same time! It shouldn't have been a big deal, but I cleaned the house and then felt a little lost. I'm happy to report that the internet is back and my phone is back in hand, so my life can resume like normal! Sad, so sad, but so true. While I cuddle up in my blanket and watch cartoons with my nephew I figured it would be good time to share one of my favorite engagement sessions from this last summer! I think it goes without saying that Suzannah and Kelly are one stunning couple! I was instantly excited and inspired when they stepped out of their car dressed in the outfits that they chose! Suzannah's dress is exactly what I would dream that my clients would choose for an outfit for an engagement session. The color was perfect for the location and her skin tone as well! I've had several clients ask where they can find a similar dress and I have found a similar one here. 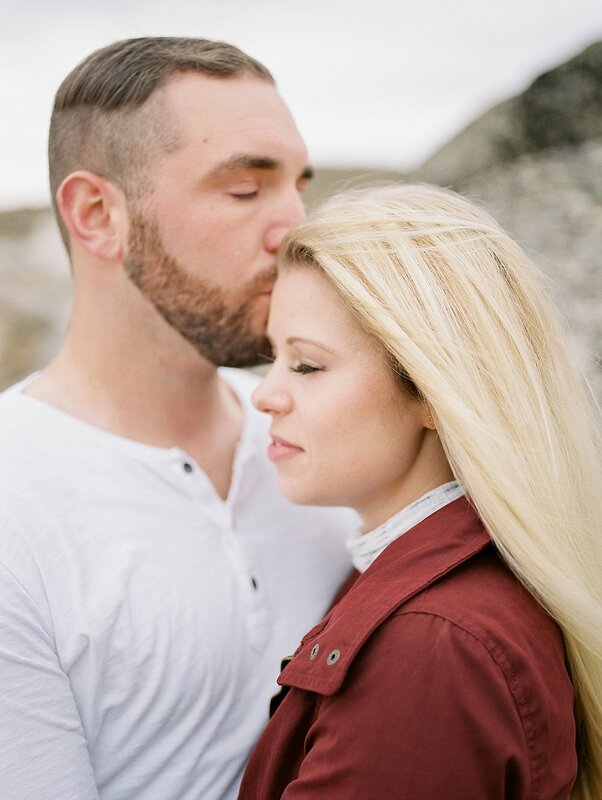 I am so excited to photograph their Boise wedding this summer! We are going to have so much fun together! Johnny and Jenny; that just has a ring to it, does it not it? These two are seriously so adorable! 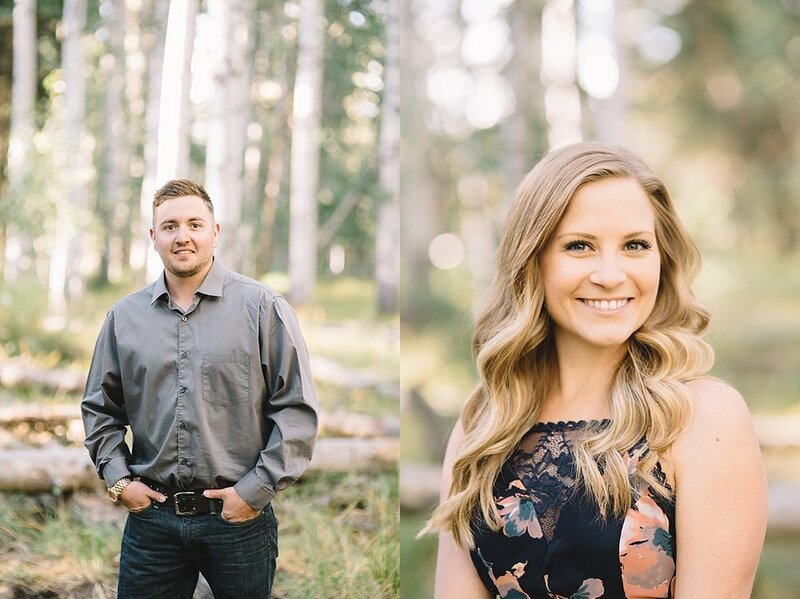 I loved meeting with them in McCall to photograph their engagement images. We started at one of my favorite river locations and then moved into my other favorite location, which is an Aspen grove. These images demonstrate the sweet, gentle love that these two share. We also included Johnny's Harley Davidson because it was one of their first dates! I love when couples find a way to tell their love story in their images. I absolutely cannot wait to photograph this wedding! These two have amazing style and their love is so genuine! 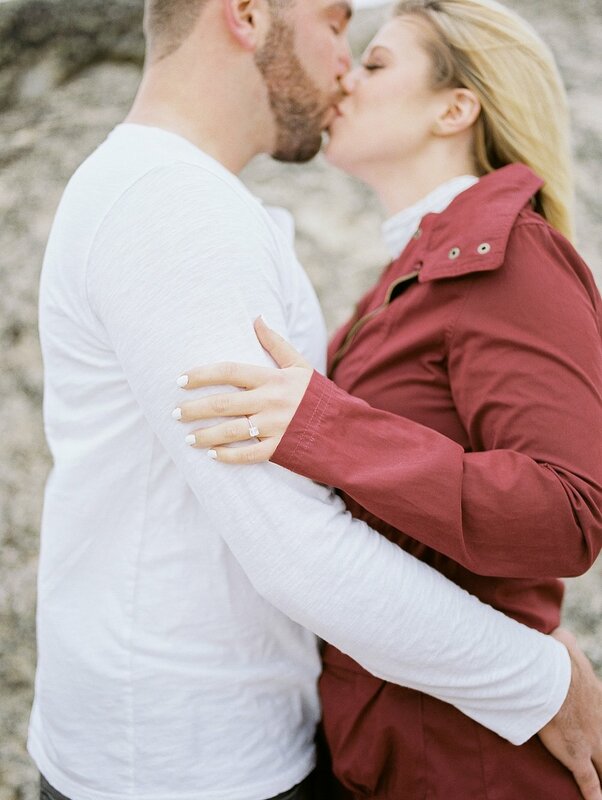 I am so excited to share Kyle and Kylee's engagement images with you all! Kyle and Kylee live up in Lewiston, Idaho and I am honored to be their engagement and wedding photographer this upcoming summer. Kyle owns a box van because of his motocross business and now I'm convinced that I need one for sessions! They had a built in changing room and places to hang their outfits throughout the session and I kept telling them how badly I wanted a box van of my own! Maybe down the road, right?? It had rained all weekend, but the sun popped out just in time for their session. It was everything I could ask for as a photographer! The sun kissed the wet grass and there were still some clouds high in the sky that provided great light! I was giddy the entire time! I cannot wait for next summer to get here so that I can get my camera on these two again, but for now I just get to look at these images and remember how much fun we had. Kyle and Kayla were such a blast to photograph! I grew up with Kyle all the way from elementary school, so the amount of inside jokes and memories that we talked about were unbelievable! We went to a really small elementary school so we knew each other really well. Small world, when Kyle left elementary school he started riding the bus to junior high and rode with my now husband! In fact, the two constantly fought over their rivalry as diehard Yankee and Red Sox fans. 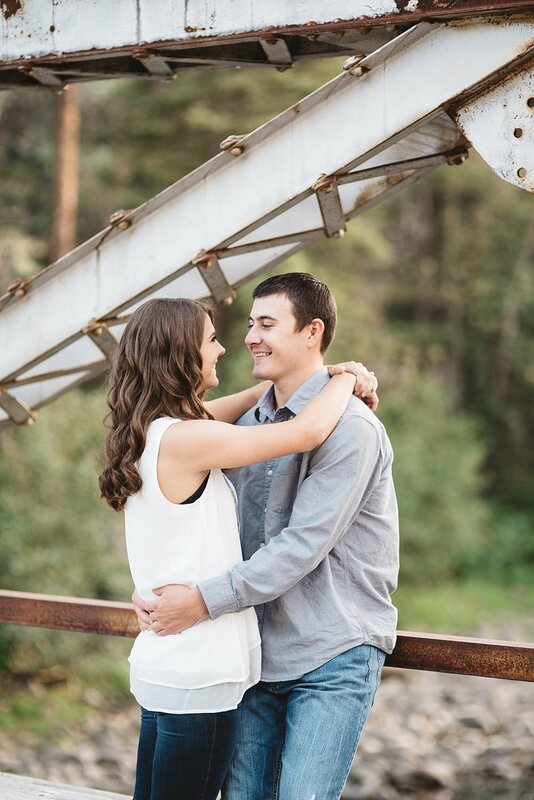 Kyle left Idaho and went on to play college football, where he met his sweetheart, at Rocky Mountain College in Billings, Montana. Kayla was a star athlete herself, playing basketball for Rocky Mountain! Needless to say, these two are super stars! We went for a weekend trip and stayed at their condo in Big Sky, Montana. If you've never been to Big Sky, you have got to plan a trip! I had heard how gorgeous Montana is, but I was truly blown away when I got to see it myself! 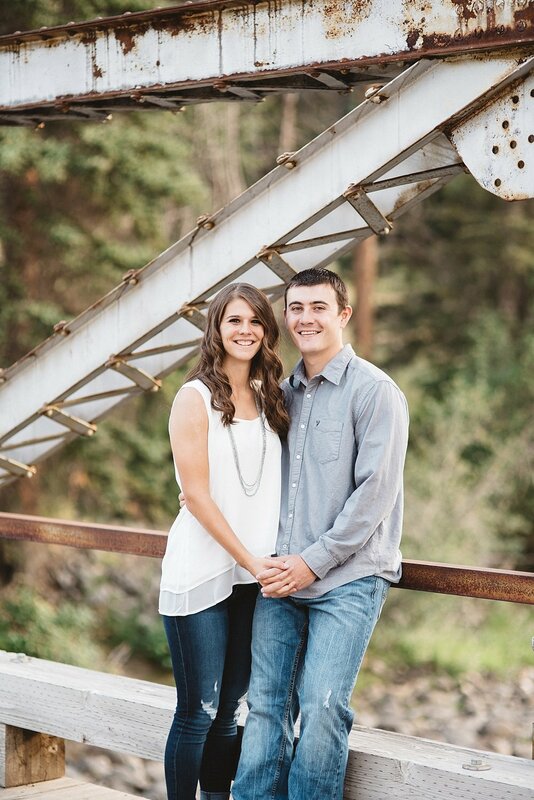 I am so excited to say that I will get to photograph their wedding in Montana next summer! It is going to be so gorgeous! A look into our spectacular styled Hug Point bridal session collaboration. Cecily's bridal session took place on the beach in the Oregon Coast at Hug Point. Hug Point offers oceanside cliffs, soft sand beaches, and scattered rocks. The day started in sunshine, but ended in a complete downpour. For those familiar with the Oregon Coast, rain should always be planned for! In early April the rain was quite chilly, but it provided the perfect mood and skies for this shoot. Friends, meet Ashlynn and Justin! Ashlynn is a cosmetologist and Justin is in the military aka Ashlynn showed up with amazing hair and makeup and Justin showed up with huge muscles. 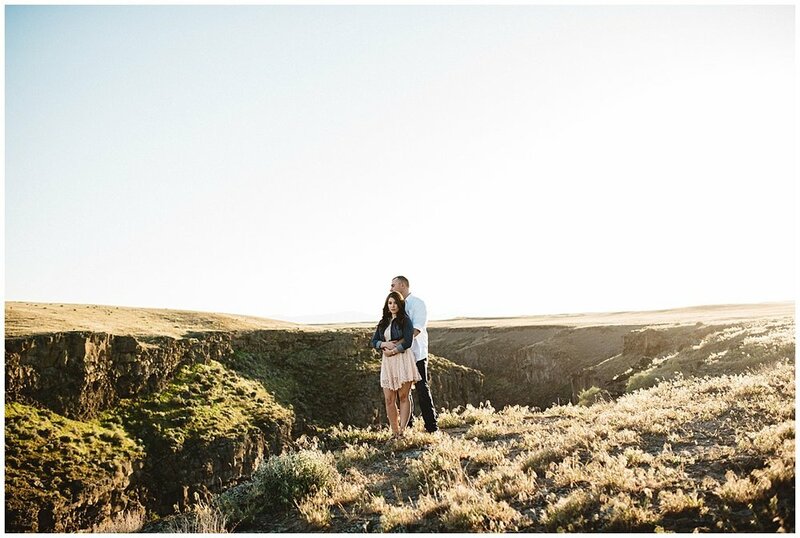 What more could a Boise engagement photographer ask for? 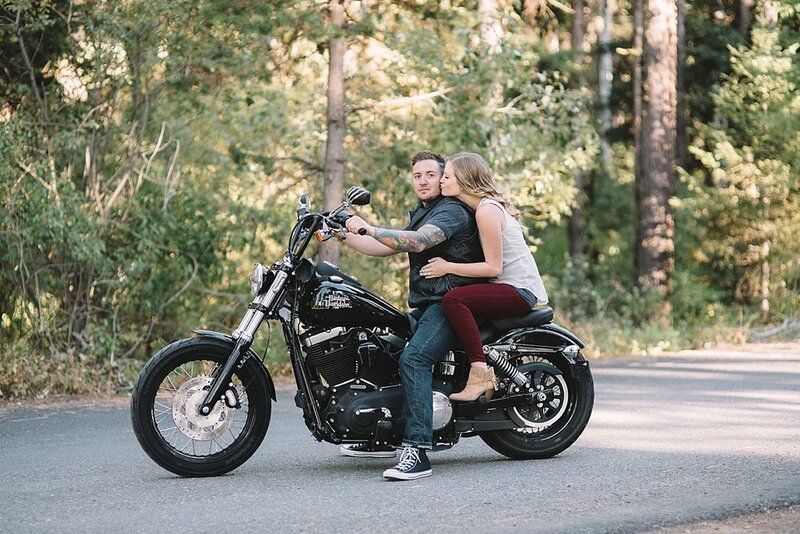 As a Boise engagement photographer I love to capture my couples being exactly who they are. I love real smiles, real laughs, and most importantly big, juicy kisses! 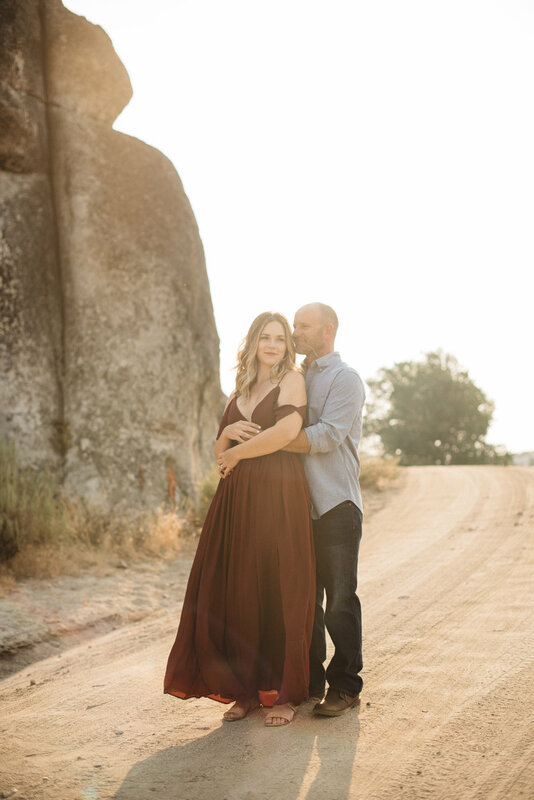 I love to have my couples help pick the location for their photos because we can find one that means a lot to them, and adds extra meaning behind their images. Engagement photos are the best opportunity to get used to being in front the camera together as a couple. You get all your nerves out so that you are even more comfortable come your wedding day! Ashlynn and Justin's session was done in early spring in Mountain Home, just outside of Boise. We met at my house before heading out to the cliff and my tree was in full bloom! I begged them to snap just a few images before we headed out and I am so glad that we did! The colors fit perfectly with their wardrobe. Sometimes as a photographer I get an image or an idea in my head and I just need to make it happen! That is what happened with this tree. I saw it in full bloom and knew that I needed someone to pose in front of it for me. I am so thankful Ashlynn and Justin trusted me and my vision! 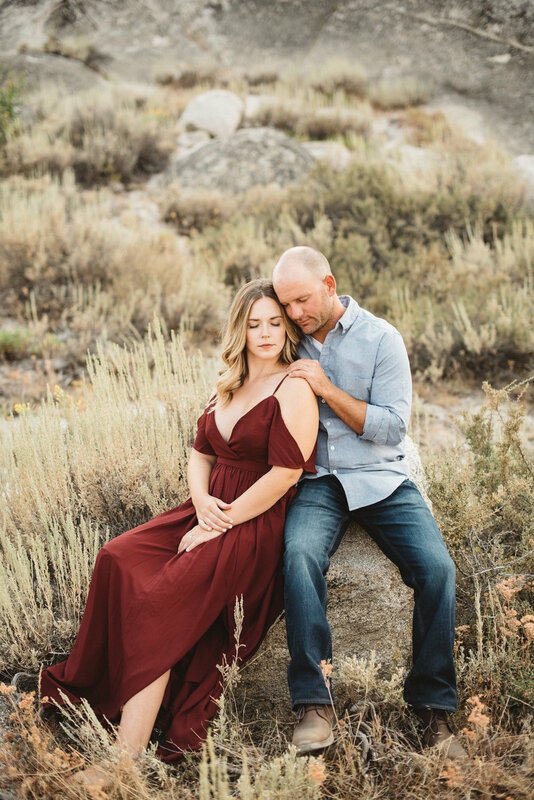 As an Idaho wedding photographer I primarily shoot couples, which is why in my off season I love to shoot maternity photos! 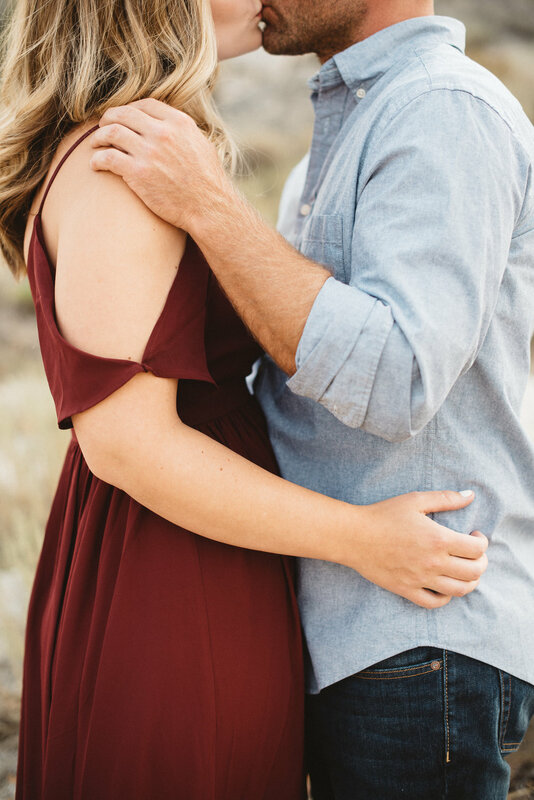 Andrea and Ben contacted me to be their Boise maternity photographer and I jumped on it because they are seriously one of the cutest couples ever and their style is very much in line with mine! These photos prove that you don't need fancy props or a special location to do your photos. In fact, these were done in their front room and all I needed was great light and gorgeous subjects! Andrea is currently 30 weeks, which is my favorite because she is still extremely limber and as comfortable as can be expected when being pregnant! She is also a yoga star, so we attribute some of her limberness to that! She suggests that anyone who is pregnant should do yoga as much as possible because it has helped her be comfortable for as long as it has. So for ten more weeks we will wait patiently for this week baby girl to arrive and I will continue making mom her decaf lattes! P.S. Do yourself the favor of scrolling all the way through because there is the most adorable surprise at the end! Bre and Arich ventured out to the Bruneau Sand Dunes with me and we spent a couple of hours under the stormy skies of Idaho! 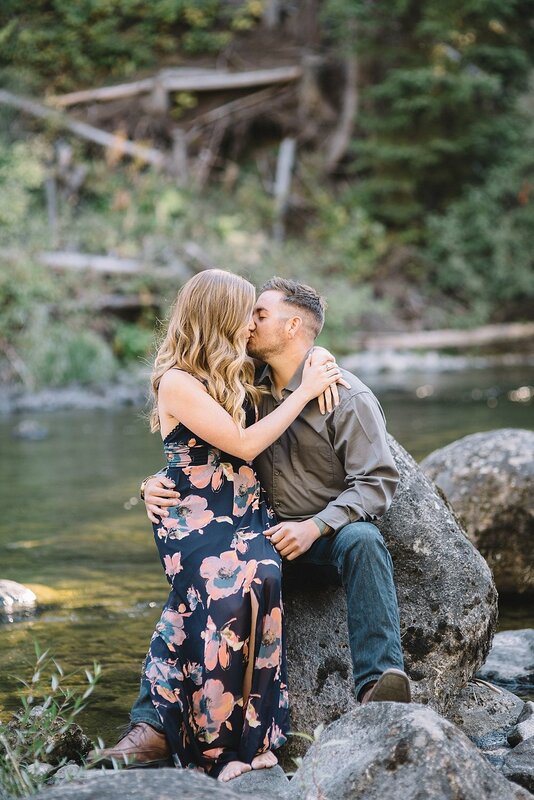 As a Boise Idaho engagement photographer I love getting to capture the real moments that a couple shares during these intimate sessions. 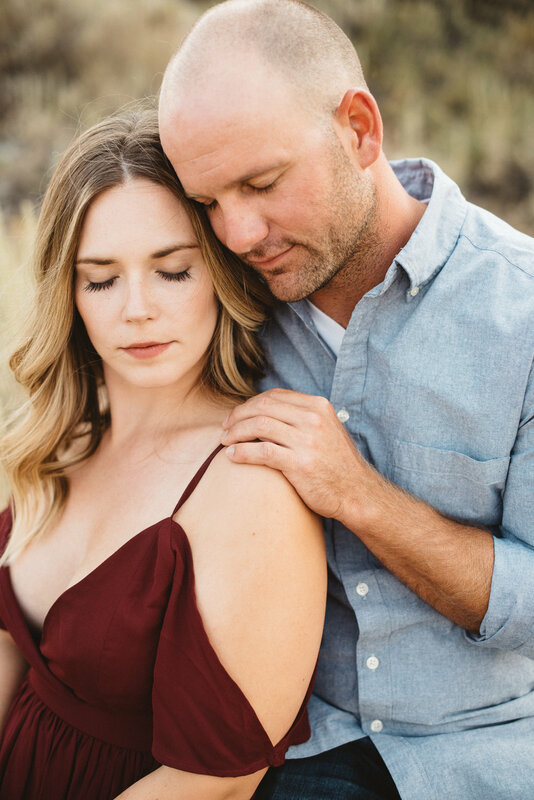 Engagement sessions are such a great way for a couple to get comfortable together in front of a camera before their wedding day! I love getting to spend a little time with my couples so that they can see how I direct and pose and they can be prepared for their wedding photos. 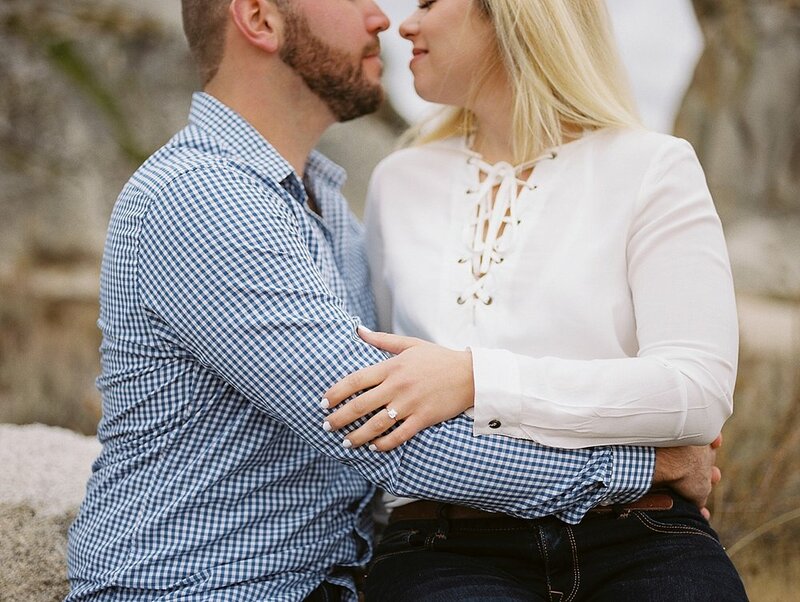 Engagement sessions are so fun! They are so laid back and relaxed. We get to just go adventure together and capture all the love in between. 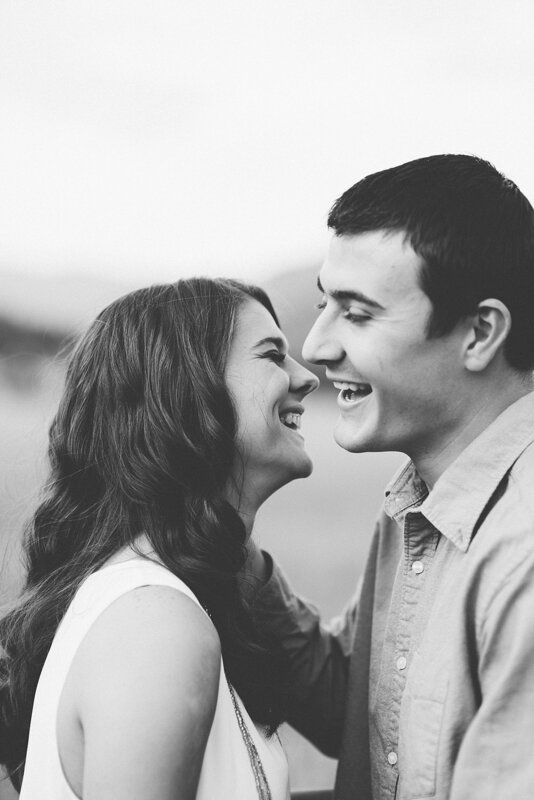 Couples who are recently engaged have an energy that is unmatched and I love capturing it! I spend time capturing poses of the couple, detail shots of your bright new shiny ring, and also some individual shots. Hey friends! I will be in Lewiston on March 5th and I wanted to invite you to my Lewiston, Idaho boudoir photography marathon! These sessions will be all about you! We will focus on all your best assets! I will use the light and shadows to compliment your curves and make you feel the sexiest you've ever felt! Whether you get these photos done just for yourself, or you loved one, my goal is to make you feel gorgeous and special! As a boudoir photographer, I have a lot of experience working with women to make them come out of their shell! By the end of the session, we usually both end up laughing so hard that we cry and end up being awesome friends! I want you to feel like the session is more than just photographs- I want it to be about self confidence and self growth! I want you to love your photographs, but love yourself even more! If this sounds like something you'd be interested in please contact me here! 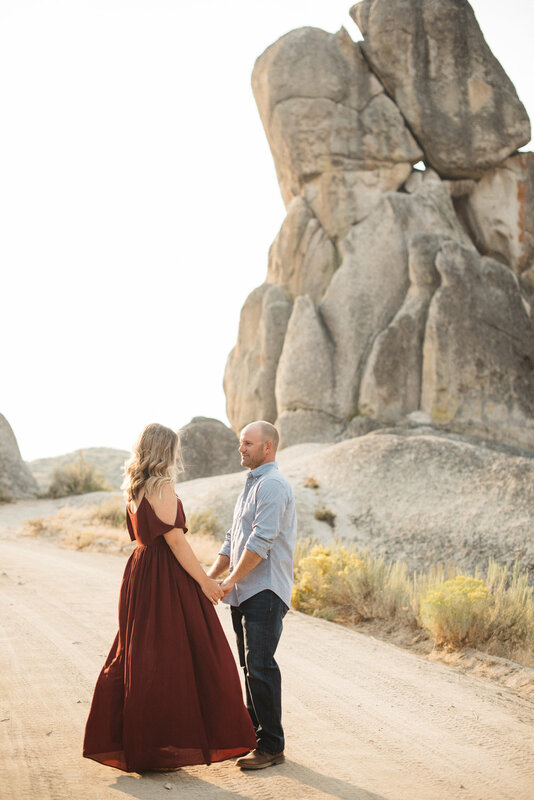 Jack and Jessejoy contacted me to be their Mountain Home, Idaho engagement photographer. They told me that they love adventure and the outdoors...umm hello match made in heaven! They wanted to do something for their engagement photos here in Mountain Home that showed who they are as a couple. On a stormy spring day we climbed to the top of my favorite lookout point near Anderson Dam and we made magic. They were so much fun to photograph! They have such an authentic love for one another and it shows so clearly in photographs. 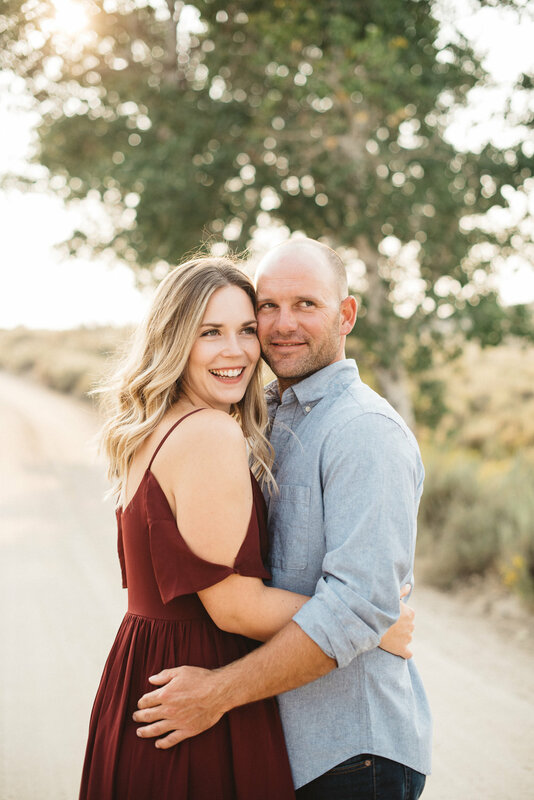 Their wedding was held in Riggins, Idaho on a gorgeous and warm summer day. We had a blast being in the mountains and shooting their wedding. I always love getting to photograph couple's engagement and wedding photos because we form a really good bond before the wedding day! 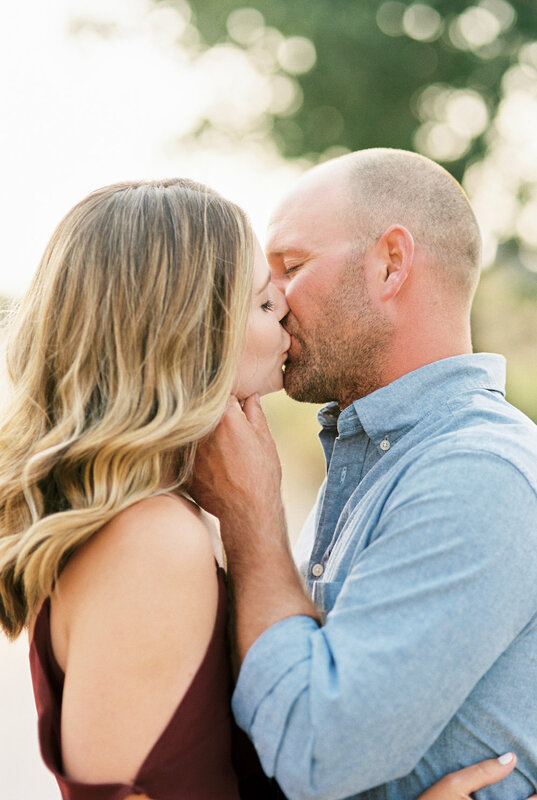 Brie Thomason Photography is a McCall, Lewiston, Sun Valley, and Treasure Valley wedding photographer. She specializes in capturing the big and small moments that happen during a wedding on film and digital. She loves to travel and be adventurous and is always looking for a couple who is the same way! 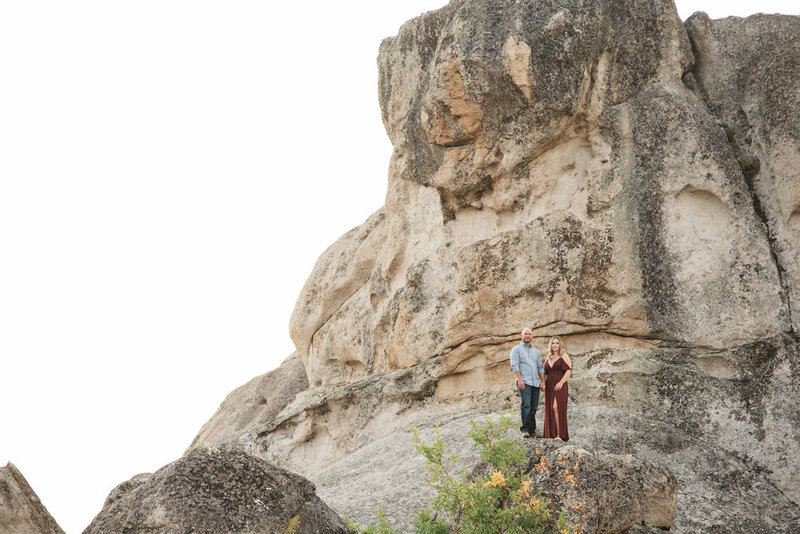 Hiking in the mountains for engagement photos or wedding portraits is a dream of Brie's and she would love to find a couple who feels the same way. Are you that couple? If so, contact Brie here.